Give the Gift of College Education with GradSave! I have wanted to write about this for some time, and I can't be quiet any longer. 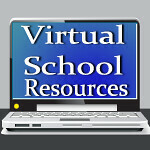 K12 has had so many problems in so many states that it is affecting the public's perception of the validity of virtual schooling. I find this disturbing as my children attend a virtual school that is amazing. Florida Virtual School has been such a blessing to our family. These teachers want to see my children do well, and they have. "K12 expects to generate $500 million in revenue this year—it earned a $21.5 million profit last year—and its stock has doubled in value since the company went public in December 2007. The financial success of K12 has shown that Milken—the 1980s junk-bond king, convicted felon (securities fraud), and health-care philanthropist—has figured out how to profit from public schools. But while online education may have paid off for Milken and other investors, it's less clear that K12 is benefiting its students." "K12 brought in a profit of about $13 million in the last fiscal year. Total revenues were $685 million, an increase of 31 percent over the previous year. The company estimates the market could grow exponentially in the coming years – to between $5 billion to $50 billion. To keep profits high, K12 has told shareholders it will cut costs next year by $20 million." My blood boils just reading this. I don't know the answer, but I do want to say to my readers, PLEASE investigate fully the virtual school you choose for your child. I have seen for-profit private schools get in trouble, and yes, it is sad, too, but when a company that has such a huge share of the online school market is showing horrendous results for student progress and making that kind of money, Houston, there is a problem.